This is where thinking actually happens. It has a very finite capacity; it can only hold and process about four different items at a time. If it receives too much it fails. Long-term memory has huge – almost infinite – capacity. It is here that we store our knowledge of facts and procedures. The goal is to stock our long-term memories with knowledge in a well organised, easily retrievable way and make recall of key aspects automatic. This frees up the working memory for new information. The part of the brain that deals with speaking, listening and reading. If pupils have to listen to someone talking at the same time as reading something on the board, then their attention is split – the spoken and the written information compete for attention. To reduce cognitive load by not overloading the phonological loop. It is a struggle to read and listen at the same time. 9. Once the teacher has written the entire method on the board he or she can narrate what they have been doing. 1. Present the information in written form first, and then explain it to avoid cognitive overload. 2. Words and pictures at the same time are fine, so bring out your concrete and pictorial examples. Retrieval practice is a strategy teachers can use to give pupils opportunities to have to try and remember things they have learnt previously; things they have begun to forget. Retrieval practice is quite simply giving children tasks where they have to try and retrieve an answer from their long-term memory. Each time pupils try and do this, that memory will become a bit stronger and a bit easier to find next time. What is important for teachers to understand is that for the memory strengthening to happen, pupils must try to remember without any priming or reteaching from us. 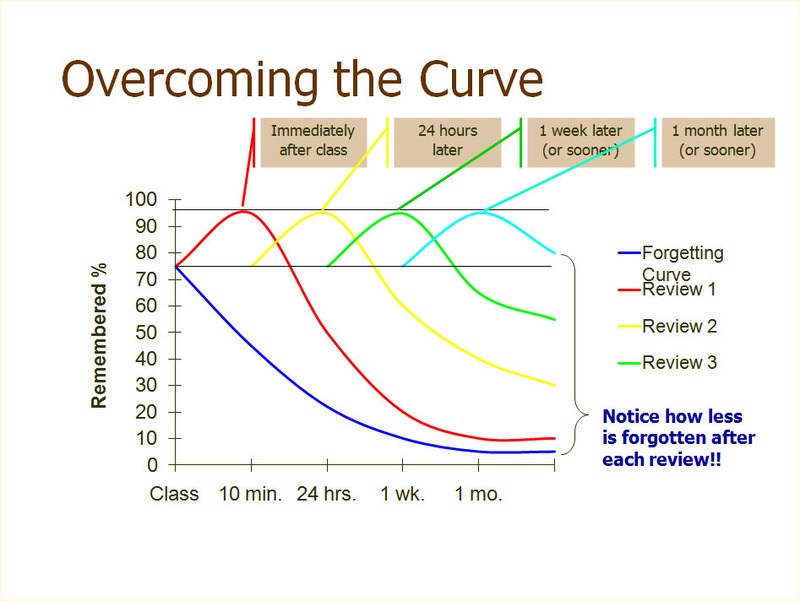 For retrieval practice to work, there has to be an element of struggle; it has to be at the very least, a bit hard to remember. It works best when memories have been forgotten! This ties into the Waldorf idea of “putting a topic to sleep” but is focussed on the “re-awakening” process which seems to be the important bit in terms of long term retention of content. Becoming conscious of the power of Retrieval Practice as a learning strategy means we can make the best use of the brain’s natural recall functions. Our memory is like a forest garden, not a hard drive – IE: we need to visit often and tend the garden. Because students have a better understanding of classroom material by having practiced using this information, students can adapt their knowledge to new situations, novel questions, and related contexts. In other words, not only does retrieval improve learning and help us figure out what students do know – more importantly, it helps us figure out what they don’t know. Teachers can adjust lesson plans to ensure common misconceptions are addressed and common gaps in knowledge are revisited if necessary. They help ensure that all students are thinking about and answering questions. You can immediately see who is joining in and who isn’t. You can use them to monitor who is ahead of the game, and find out which students are struggling. They allow you to draw out thoughts from quieter, less vocal students. You can check that everyone in the class is listening, following, understanding and applying ideas and concepts as they develop within a discussion. They allow you to give students immediate (verbal) feedback based on their responses to a question. All-student response: using mini-whiteboards really well. As I outline in this post – the No1 bit of classroom kit is a set of mini-whiteboards. The trick is to use them really well. You need to drill the class to use them seriously, to do the ‘show me’ action simultaneously in a crisp, prompt manner and, crucially, you need to get students to hold up the boards long enough for you to engage with their responses. Who is stuck? Who has got it right? Are there any interesting variations/ideas? Use the opportunity to ask ‘why did you say that? how did you know that?’ – and so on. It takes practice to make this technique work but it’s so good when done well. Taken from Ten teaching techniques to practise – deliberately. Mini whiteboards are very useful when used effectively with a crisp “show-me” routine. MWBs are most effective if you question students further once they have answered a question.